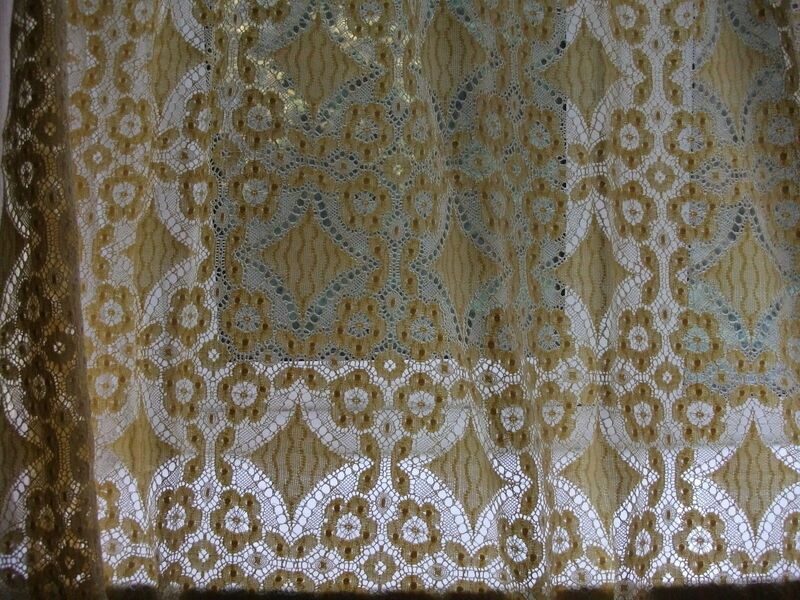 A piece of gorgeous Genuine Nottingham Cluny cotton lace fabric which is deep YELLOW in colour. 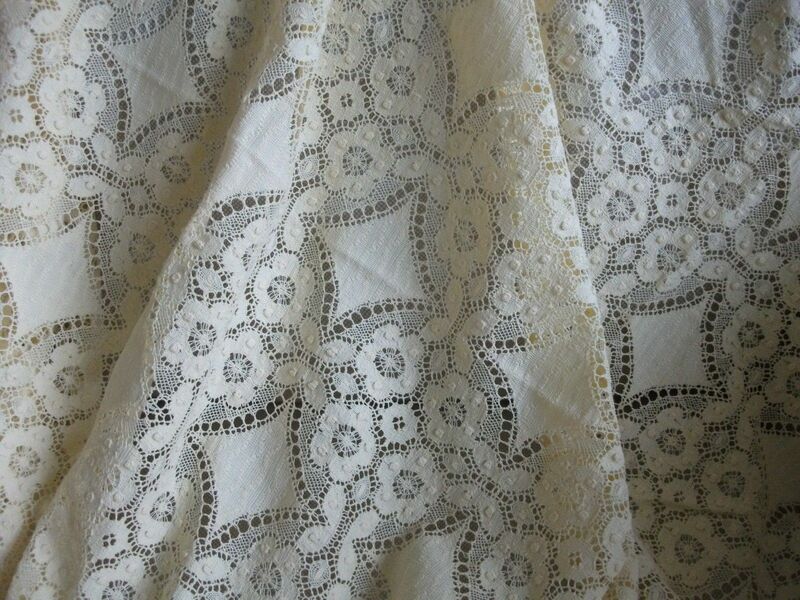 A rare opportunity to obtain lace of the same quality as worn by the British royalty! The piece measures 2 metres x 1 metres. 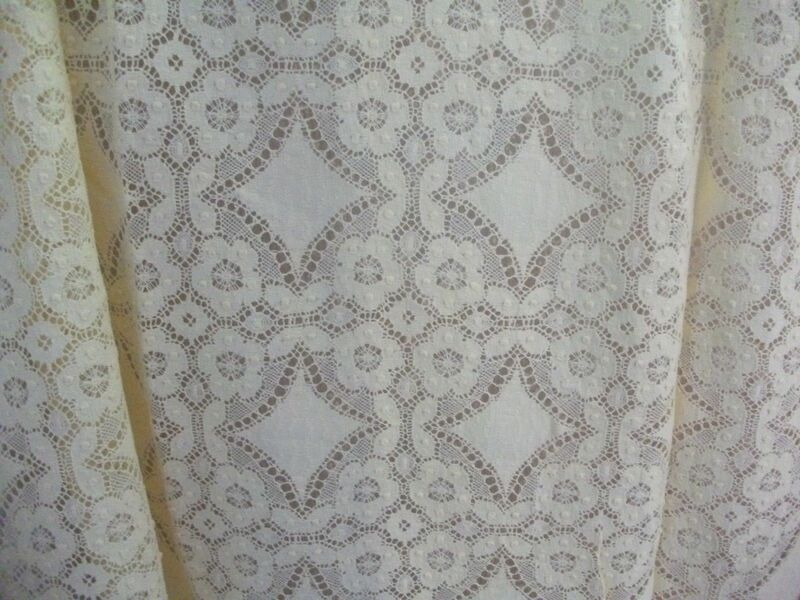 A lovely lace of a very beautiful old famous pattern made from a repeating 5 " motif with raised spots that are uniquely Leavers Lace. There is one selve edge running the length of the 2m, the other three edges are raw cut. I think that the selve edge is sufficiently neat along its length to be used as a finished hem, but that is only my opinion! 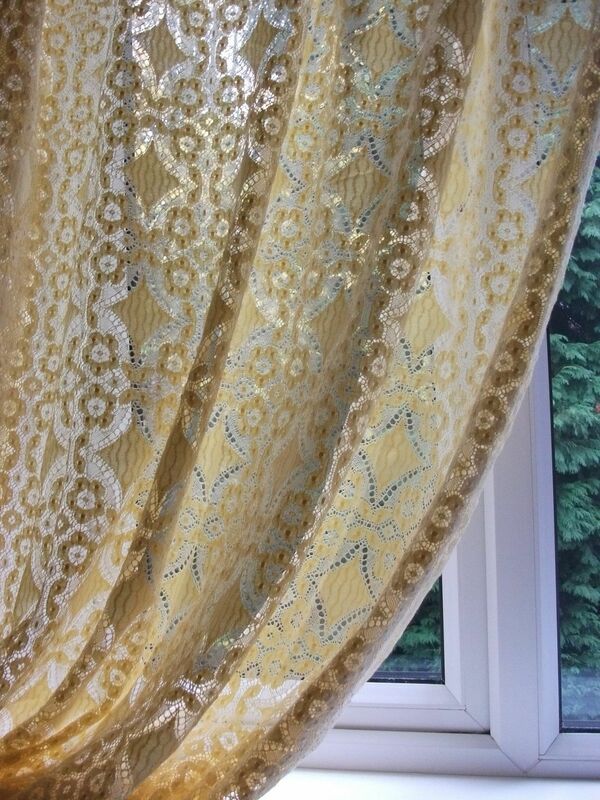 The fabric is quite heavy which helps it to drape or hang beautifully under its own weight, a property which makes it perfect for that little top, dress or skirt! This piece weighs 640g. 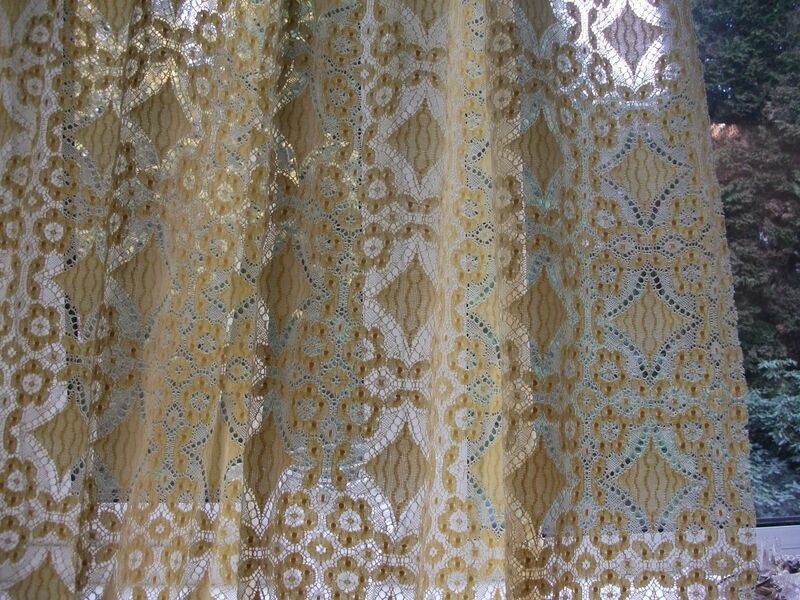 Only 4 pieces are available in this size, price is per piece.